Engine Lubricants can have a huge impact on the operation of your business. Selecting, using and managing them correctly can bring significant rewards in terms of improved Your equipment efficiency and company profitability. E1, E2, E3, E5 – not in use. CJ-4 Current - 2006 Introduced in 2006 for high-speed four-stroke engines. Designed to meet 2007 on-highway exhaust emission standards. CJ-4 oils are compounded for use in all applications with diesel fuels ranging in sulphur content up to 500ppm (0.05% by weight). However, use of these oils with greater than 15ppm sulfur fuel may impact exhaust after treatment system durability and/or oil drain intervals. CJ-4 oils are effective at sustaining emission control system durability where particulate filters and other advanced after treatment systems are used. CJ-4 oils exceed the performance criteria of CF-4, C-4, AH-4 and C-4. CI-4 Plus Current - 2004 Used in conjunction with API C-4, the " CI-4 PLUS" designation identifies oils formulated to provide a higher level of protection against soot-related viscosity increase and viscosity loss due to shear in diesel engines. Like Energy Conserving, CI-4 PLUS appears in the lower portion of the API Service Symbol "Donut." CG-4 and CF-4 and can effectively lubricate engines calling for those API Service Categories. CH-4 Severe-Duty Diesel Engine Service This service oils are suitable for high speed, four-stroke diesel engines designed to meet 1998 exhaust emission standards and are specifically compounded for use with diesel fuels ranging in sulfur content up to 0.5% weight. CH-4 oils are superior in performance to those meeting API CF-4 and API CG-4 and can effectively lubricate engines calling for those API Service Categories. CG-4 Obsolete This category describes oils for use in high speed four-stroke-cycle diesel engines used in both heavy-duty on-highway (0.05% wt sulfur fuel) and off-highway (less than 0.5% wt sulfur fuel) applications. CG-4 oils provide effective control over high temperature piston deposits, wear, corrosion, foaming, oxidation stability, and soot accumulation. These oils are specially effective in engines designed to meet 1994 exhaust emission standards and may also be used in engines requiring API Service Categories CD, CE, and CF-4. Oils designed for this service have been in existence since 1994. CF-4 unless they pass the test requirements for these categories. CF Obsolete Service typical of indirect-injection diesel engines and other diesel engines that use a broad range of fuel types, including those using fuel with high sulfur content; for example, over 0.5% wt. Effective control of piston deposits, wear and copper-containing bearing corrosion is essential for these engines, which may be naturally aspirated, turbocharged or supercharged. Oils designated for this service have been in existence since 1994 and may be used when API Service Category CD is recommended. CF-4 Obsolete Service typical of high speed, four-stroke cycle diesel engines. API CF-4 oils exceed the requirements for the API CE category, providing improved control of oil consumption and piston deposits. These oils should be used in place of API CE oils. They are particularly suited for on-highway, heavy-duty truck applications. When combined with the appropriate S category, they can also be used in gasoline and diesel powered personal vehicles i.e., passenger cars, light trucks and vans when recommended by the vehicle or engine manufacturer. CE Obsolete Service typical of certain turbocharged or supercharged heavy-duty diesel engines, manufactured since 1983 and operated under both low speed, high load and high speed, high load conditions. Oils designed for this service may also be used when API Service Category CD is recommended. CD-II Obsolete Service typical of two-stroke cycle diesel engines requiring highly effective control of wear and deposits. 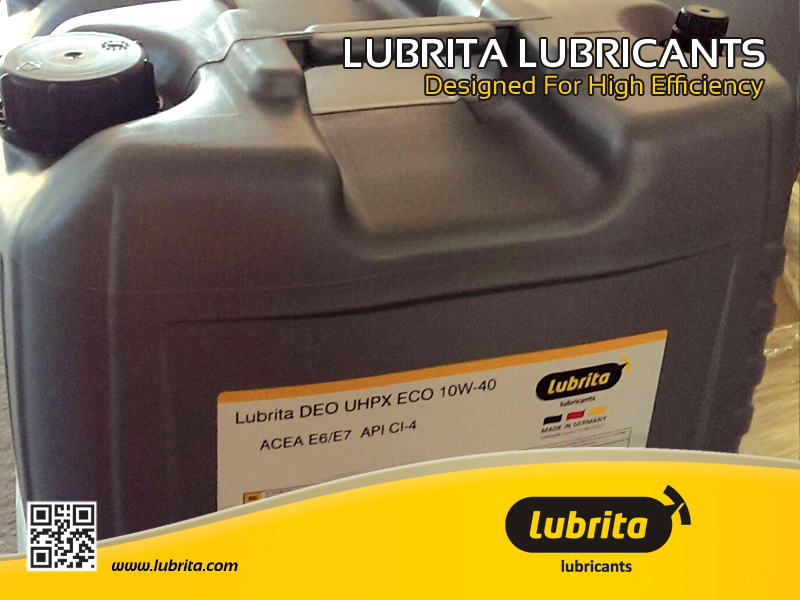 Oils designed for this service also meet all performance requirements of API Service Category CD. CD Obsolete Service typical of certain naturally aspirated, turbocharged or supercharged diesel engines where highly effective control of wear and deposits is vital, or when using fuels with a wide quality range (including high-sulfur fuels). Oils designed for this service were introduced in 1955 and provide protection from high temperature deposits and bearing corrosion in these diesel engines. CC Obsolete Service typical of certain naturally aspirated, turbocharged or supercharged diesel engines operated in moderate to severe-duty service, and certain heavy-duty gasoline engines. Oils designed for this service provide protection from bearing corrosion, rust, corrosion and from high to low temperature deposits in gasoline engines. They were introduced in 1961. CB Obsolete Service typical of diesel engines operated in mild to moderate duty, but with lower quality fuels, which necessitate more protection from wear and deposits; occasionally has included gasoline engines in mild service. Oils designed for this service were introduced in 1949. They provide necessary protection from bearing corrosion and from high temperature deposits in naturally aspirated diesel engines with higher sulfur fuels. CA Obsolete Service typical of diesel engines operated in mild to moderate duty with high quality fuels; occasionally has included gasoline engines in mild service. Oils designed for this service provide protection from bearing corrosion and ring-belt deposits in some naturally aspirated diesel engines when using fuels of such quality that they impose no unusual requirements for wear and deposits protection. They were widely used in the 1940s and 1950s but should not be used in any engine unless specifically recommended by the equipment manufacturer.